NEWLY RENOVATED! 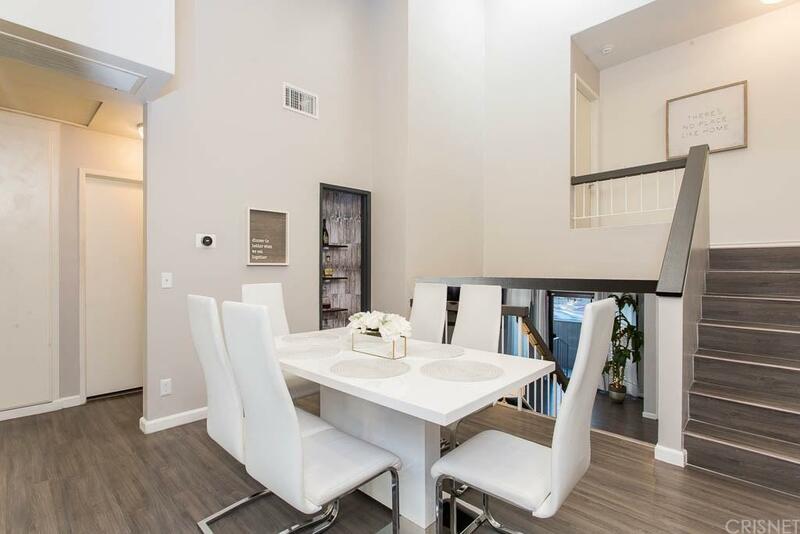 Stunning move-in ready multi level townhome with spacious floor plan. 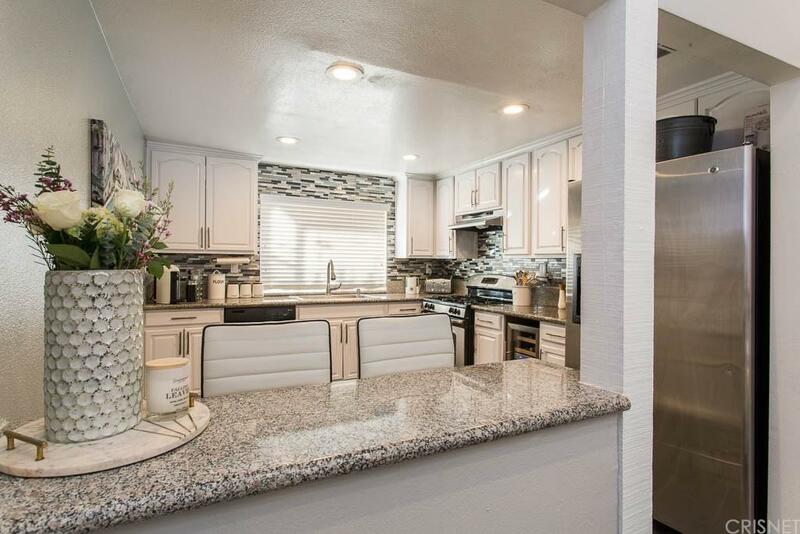 Bright and spacious living room, dining room (with sky light), vaulted ceilings, fire place, huge master bedroom suite, upgraded kitchen + stainless steel appliances, wine cooler and private patio. 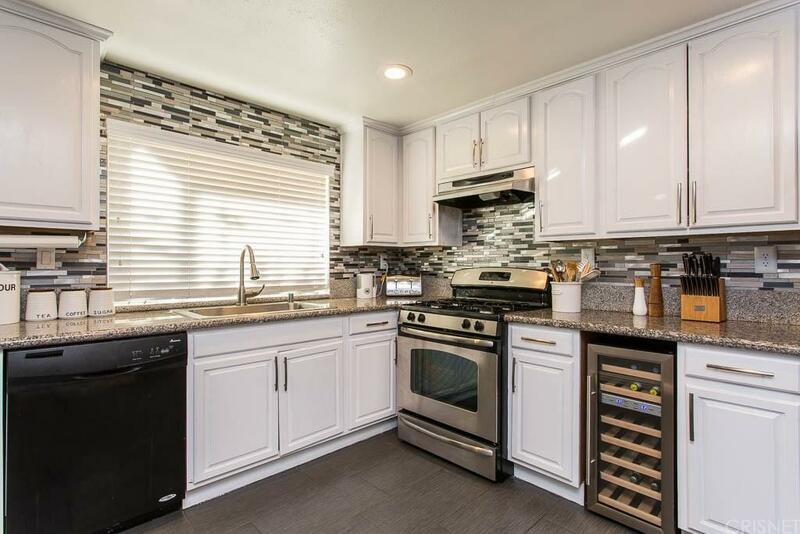 Recent improvements include laminate flooring, new AC unit, modern vanities in both bathrooms, double pane window in master bedroom, upgraded tile flooring in kitchen/bathrooms, Nest smart thermostat and Ring system. Private attached two-car garage with plenty of storage space and washer/dryer hook up. 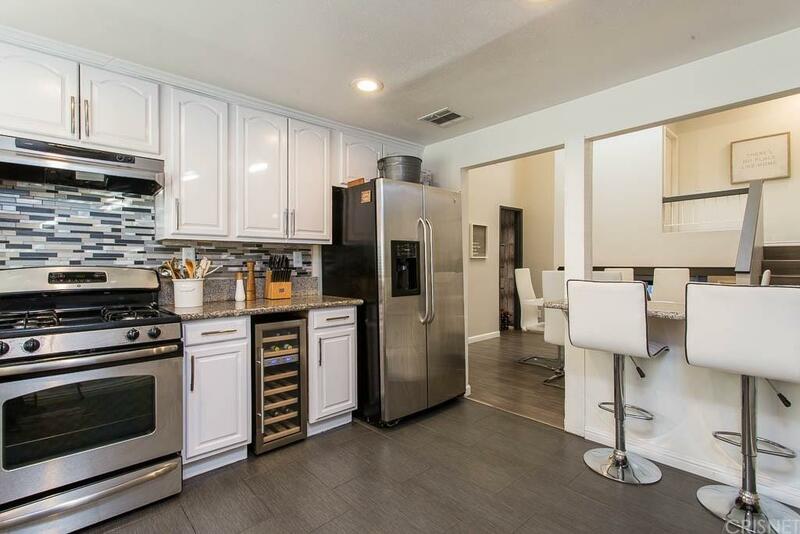 This property is centrally located near the 118, Starbucks, Famous Country Deli, 10 min drive to The Village and Topanga Mall. Must see this rare gem in Chatsworth!Please note: ALL OFFERS DUE BY TUESDAY FEBRUARY 12th 5PM. Sold by Jack Gulesserian BRE#02012036 of Huntington Group. Listing provided courtesy of Blas Fernandez DRE#02012036 of Ashby & Graff.